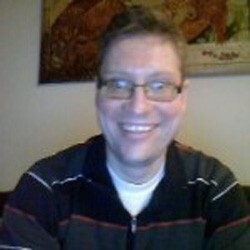 Hello I´m Henning Gustavsen, thank you very much for checking out my articles. I’m 42 years old, married to Vita and we are blessed with two boys soon to be 6 and 8 years old. I work at an Assistive Technology Center in Norway. In my daily work I have to look for appropriate devices for people with handicaps. The last couple of years I’ve been working a lot with iPad, iPhone and iPod-touch. Particularly with iPad there’s been a leap forward for many people. The possibilities are next to unlimited, however I’ve missed a few things. One of them is a good video source that covers everything from the basics to the advanced settings. I hope you´ll enjoy my writing! Learn Norwegian Online, Extremely Cost - Effective! Learn Norwegian Online the Easy Way! What is Ipad Used for When Playing Music? What is Ipad Used For? The Hard Facts about iPad usage! What is Ipad Used For? Can Your Ipad Be Used As A Remote Control for Toys? What is Ipad Mini Used For?